Is Standing Desk A Solution To Sitting? Sitting more than 6 hours straight is bad for health. That’s a fact. But as it turns out (something, which I suspected all along) a standing desk isn’t much better for you than a regular desk if you plan standing for the entire 9-hour workday. See, standing has its own downside. Your legs get sore, it takes more energy and to keep good posture, it also increases the risk of varicose veins and carotid atherosclerosis. 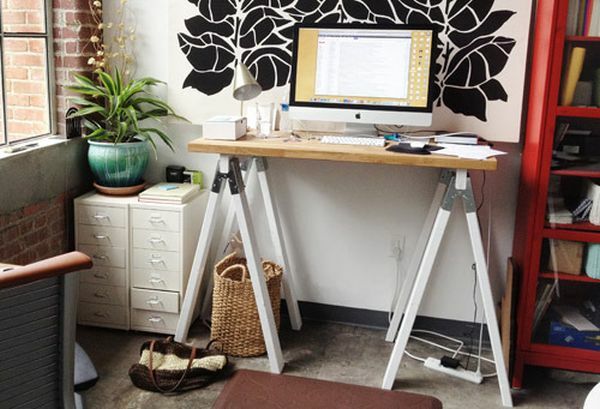 The key to getting more benefits from a standing as well as a traditional desk is variety. And since our bodies were made for movement all of this makes perfect sense. You aren’t supposed to sit or stand still for hours. So in order to alleviate the dangers and risks that both activities (or rather inactivities) entail try building your workstation the way that would allow you to sit and stand or even move around (circle your office?). A standing desk feature for your regular desk can help you immediately switch between the two, an ergonomic chair can give you the much needed support and efficient resting place all the while allowing you to work. And planning or managing some tasks through your mobile devices can allow you to walk a bit to get the blood flow going and alleviate stress on the body from both sitting and standing.